Detail view of EPS Vector Map of Indiana - the land fill color is switched on. 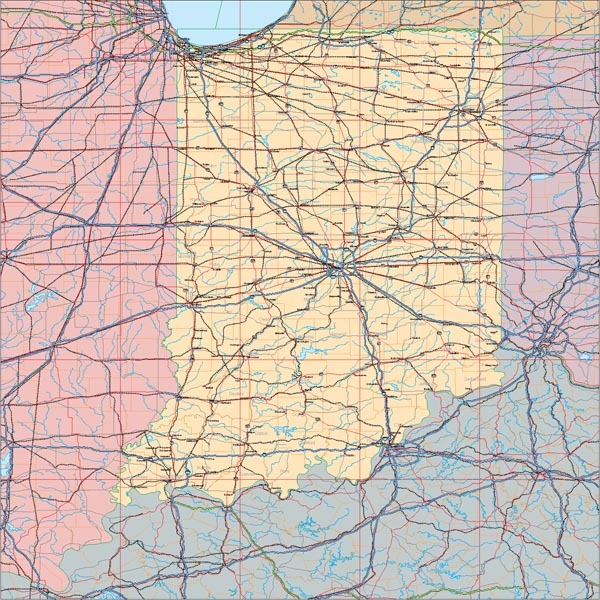 The EPS Vector map for Indiana has 22 layers which may be individually modified or removed. Select the Vector only EPS map of Indiana option to download this style map.